Price reduction! Move-in ready, incredible 3 bedroom, 2 bath, 2-car garage home! This beautiful home boasts an open floor plan, huge great room, vaulted ceilings and warm, and inviting architecture. Hardwood floors lead you to the great master suite which has a massive walk-in shower and large walk-in closet. This is a perfect home for a family located in the amazing golf course community of Lexington Oaks. This community features a clubhouse, gym, community pool, volleyball courts, soccer field, and amenities like no other. 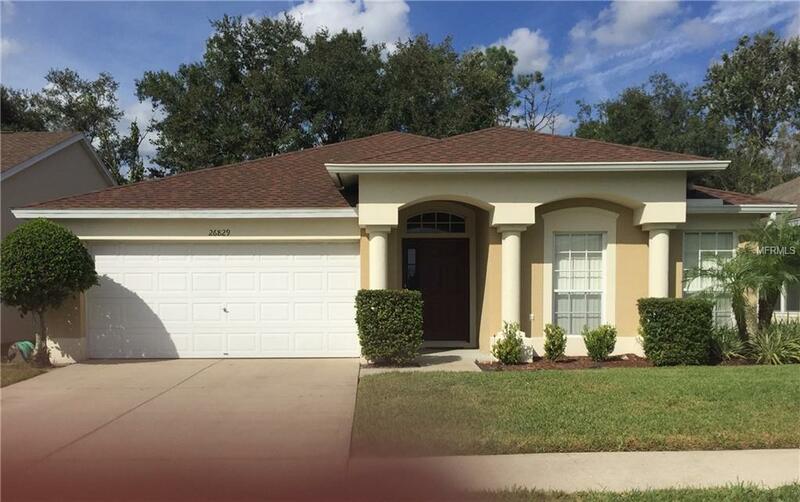 This home is also located within a 5-minute drive to I-75, as well as easy access to downtown Tampa. The home features a split bedroom floor plan, family room, formal dining room, and spacious kitchen. Cat friendly, but no dogs or smokers please. Please contact agent, Lori Skipper, for showing details. First months rent and security deposit due upon move in. No application fee.Owner pays for yard, trash, HOA fees, taxes, and pest control.$100 application fee required. Tenants must earn at least $4,725/month.